What better way to express your love on Valentine’s Day—or on any day for that matter—than with a homemade batch of something delicious? 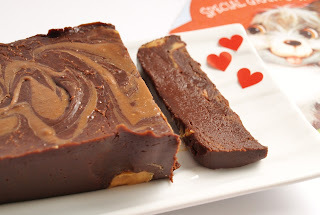 Before my husband and I put the kids to bed and settle in to watch Dan in Real Life or Out of Africa tonight, we will exchange presents with the kids and share this lovely chocolate peanut butter fudge. This simple vegan fudge is adapted from a recipe I found in PETA's Animal Times. I added peanut butter to the mix, because I love the combination of chocolate and peanut butter. This recipe is super quick and you don’t need a candy thermometer. You can omit the peanut butter and add walnuts if you prefer. 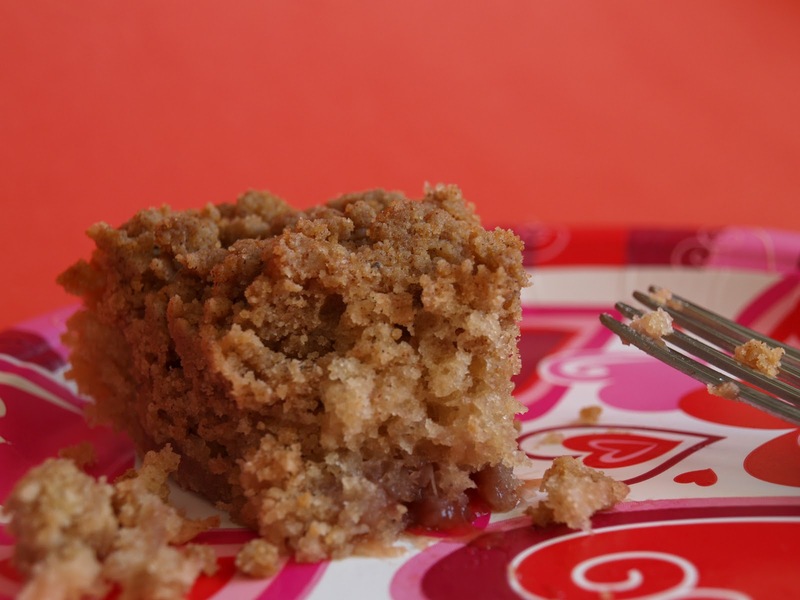 If you are looking for something less sweet to share this evening, you can fancy up a simple coffee cake recipe by swirling some colourful strawberry jam into the batter. That’s what I did a couple of days ago, when I made the “East Coast Coffee Cake” recipe from Vegan Brunch. 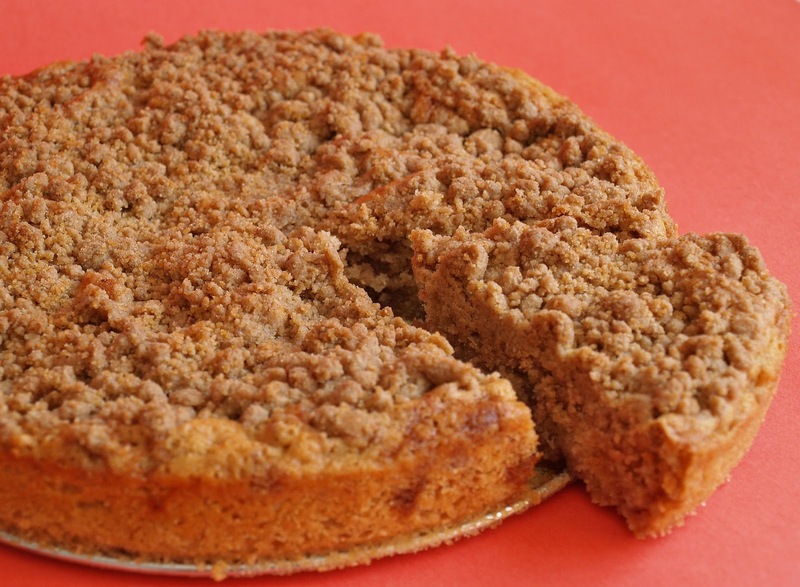 I used light spelt flour instead of all-purpose, and it worked out beautifully. The jam offered a nice surprise change in texture. Before I get to the fudge recipe, I want to share this beautiful poem that I spotted in my grandmother’s favourite poetry book. It is well worth the read. Put the margarine, sugar, cocoa, vanilla and soy milk in a heat-proof mixing bowl or the upper part of a double boiler. Place the bowl or boiler over simmering water and stir until smooth. Add a tiny bit more soy milk if needed. Swirl in the peanut butter and remove from heat. Pour the mixture quickly into the prepared pan. 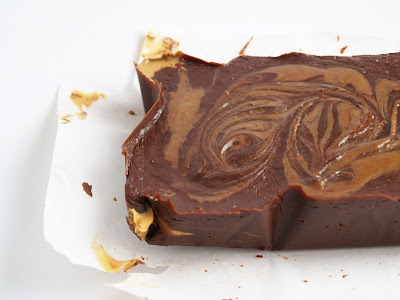 If desired, melt a bit more peanut butter to swirl into the top of the fudge. Chill thoroughly in the fridge and cut into slices or squares. 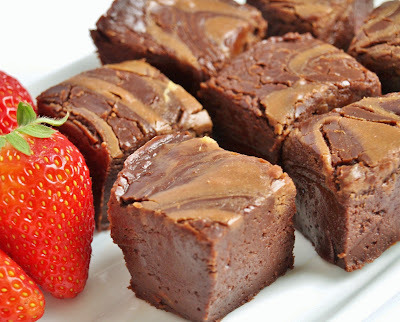 Those brownies look like straight-up fudge, which is really the only way a brownie should be! The texture seems so perfect as just a plain chocolate brownie, that peanut butter swirl is just the icing on the cake, I guess both literally and figuratively. Oh man, I need to have this fudge!! 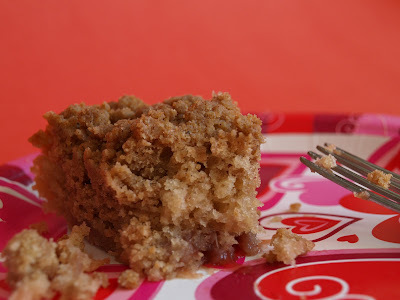 I'd love for you to join my linky, Crazy Sweet Tuesday sometime! Ella, I hope to control the cravings one day, but in the meantime I am a fudge and coffee cake girl! You can buy vegan margarine, like Earth Balance and other types. Soy milk is usually vegan. Maybe your grandparents are allergic to soy?